An excellent film, but a little difficult to fully comprehend without prior knowledge of the Kenshin franchise. ...A movie-length plot arc of The Rurouni Kenshin TV series with less humor. The year is 1879. Following a bloody civil war that led to the rise of the Meji government, Japan is finally at peace, starting to modernize, and has opened its borders to the outside world. However, government corruption remains a major problem, and some issues of Japan's brutal past have not yet been settled. Underneath the peaceful exterior, a new revolution is brewing. One relic of Japan's past is Himura Kenshin, once the most feared assassin in the entire nation. Following the Meji Revolution, he swore never to kill again, and now dedicates himself to preserving the peace that so many died to achieve. However, the peace is threatened by Shigure Takimi, another veteran of Japan's previous war who is haunted by the memory of his dead comrade, Takatsuki Gentatsu. To make matter worse, Kenshin was the one who killed him. Determined to avenge Gentatsu's death and overthrow the Meji government, Shigure gathers his rebel forces in preparation for the impending conflict. Against this tide, Kenshin must put to rest the demons of his past and stop Shigure before Japan is once again engulfed in civil war. Rurouni Kenshin: The motion picture takes place in the popular Kenshin franchise, somewhere in the timeline of the TV series. For people unfamiliar with the series, character introductions are basically non-existent, and the film also throws in a bunch of obscure historical references. Fortunately, even the uninitiated will find plenty to make the film worthwhile: superb animation, an involved, suspenseful story, and very few clear-cut "good guys" or "bad guys." The moral ambiguity of protagonist Kenshin and antagonist Shigure is particularly impressive--two honorable people with similar values pitted against each other by opposing goals. The only significant flaws in the movie are its overuse of flashbacks--flashback, really, since most are of the same scene--and some cheesy cliches in battles that are inappropriate in a serious drama like this. While there are some minor problems, this film excels at all the things that make a historical drama great: animation, action, characters, and story. Overall, Rurouni Kenshin: The Motion Picture is a superb movie. Fans of the Kenshin series should find exactly what they are looking for, and newcomers can still find plenty of entrainment in this if they are willing to put some effort into understanding the unfamiliar characters. Rurouni Kenshin: The motion picture takes place in the popular Kenshin franchise, somewhere in the timeline of the TV series. I'm not exactly sure when, as I have not seen the series. In fact, before I watched this, I had never even heard of the franchise. That made fully comprehending the film a little difficult, as it's targeted at people who are familiar with it. Character introduction in the film is basically non-existent, save for a few references to Kenshin's past as the most feared killer in Japan. The movie just throws Kenshin and his companions (Sanosuke, Yahiko, and Kaoru) at us, assuming we know who they are and what their ultimate motivation is. The film also throws in a bunch of references to obscure battles that took place in the past and clan names that you might never have heard of. This makes the whole thing somewhat difficult to fully comprehend the first time you see it if you don't have any previous experience with the franchise. But even so, this is an excellent film, and can be enjoyed without prior knowledge of the Kenshin universe. Fans of the OAV and TV series should feel right at home here, and once newcomers get an idea of who the characters are, there is plenty for them to enjoy as well. At first it seems a little cheesy. The film starts out with a lame scene involving a bunch of lecherous British sailors getting a predictable beating by Kenshin and his crew for their naughty behavior. After that, I started thinking "Great, is this what I'm going to be watching for the rest of the film?" Fortunately, the answer is a resounding no. The rest of the movie is a very serious action/drama, with great fight scenes and a superb story. One thing that really makes this movie succeed is its excellent characters. There are very few clear-cut "good guys" or "bad guys" here. All of the characters deal with moral issues in various ways, especially Kenshin and Shigure. At first, they start out as good friends, but come into conflict as their long-term goals drive them apart. This movie does a brilliant job showing how two people on opposite sides of a war can share so many similarities and can coexist under normal conditions. By the end of the film, it's hard to know who you should be rooting for. Kenshin is the obvious hero of the show, but at the same time, he must deal with the fact that he is partially responsible for the conditions that have led Shigure to become a rebel crusader. And, while Shigure is Kenshin's rival, calling him a villain just does not seem right. In addition to being just as honorable and brave as Kenshin, you can tell he has very legitimate grievances that have led him to take up arms against the government. Shigure is dead-set on avenging the death of his old companions and overthrowing a corrupt regime, while Kenshin is dedicated to preserving the peace that was achieved following the previous war. The whole situation brings up serious moral questions and makes the story far more complex than most anime films. There's also more to the story than the Kenshin/Shigure conflict. Corrupt military officers, secret agents, Gentatsu's only living relative, and Yahiko's deep respect for Shigure all factor into the plot, keeping the film suspenseful and interesting. There isn't quite as much combat as you might expect in a Samurai film, but that's not an issue. The story is easily good enough to stand on its own without a fight breaking out every 15 minutes, and the battle scenes the movie does have greatly contribute to it. The exception is the disappointing duel at the end of the film between Shigure and Kenshin. It's not completely awful, but it plays out like an old turn-based RPG game, complete with the participants announcing the name of their attacks before carrying them out. Sanosuke's John Madden-style comments during the fight don't help, either. It made the whole thing feel like a big sports event rather than an epic duel between the film's central characters. Another thing this film has going for it is superb animation. 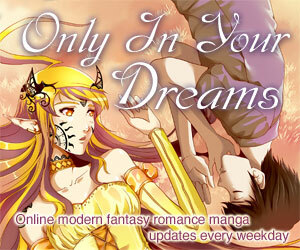 The environments and backgrounds look outstanding, and the characters are just as nicely drawn. The action scenes are generally well done too. The battles in the movie are horrific and bloody, but not any more so than one would expect from situations involving people killing each other with guns and swords. However, there are some flaws here. For one thing, the battle scenes rely a bit too much on still shots. They also have a lot of scenes where a character will run at his enemies, then the screen will turn black and show a few slash marks, after which the enemies will fall down in a spray of blood or their weapons will break apart. Cheesy cliches like that are inappropriate in a serious drama like this. Those are just minor issues. My only major gripe with the movie is the massive overuse of flashbacks. The film has a tendency to cut to flashbacks in the middle of anything, including a big battle scene. Further, most of the flashbacks show the exact same thing--the part at the beginning where Kenshin kills Gentatsu. It's a good scene, but showing it over and over again gets old fast. Of the three Rurouni Kenshin side stories, this movie is the closest in theme and style to the TV series. In contrast, the OVA prequel and sequel are somewhat more realistic and darker in tone. Other stories with a somewhat similar theme include the somewhat arty Hakkenden and the very arty ninja epic Dagger of Kamui, which takes place during roughly the same tumultuous period of Japanese history. This movie-scale side-story in the Rurouni Kenshin franchise was released about halfway through the TV show's run. There's some additional confusion due to ADV's choice to use the somewhat cheesy "Samurai X" instead of "Rurouni Kenshin" for the title (particularly ironic since, of course, he's not a Samurai). Anime Works, who licensed the TV series, stuck to the original title. 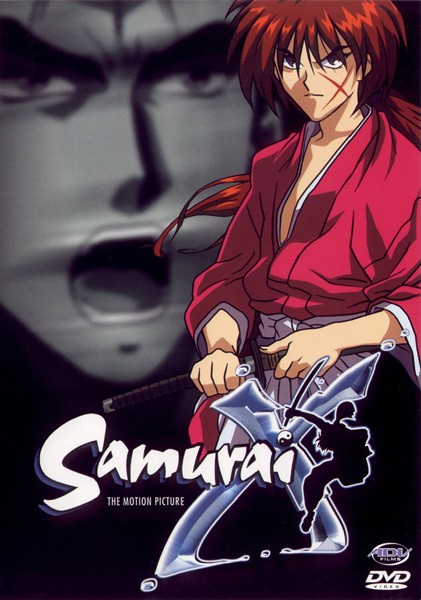 Since ADV licensed both OVA series in addition to this movie, were you to see these "Samurai X" OVAs first, without watching the TV version, you might be lead to expect the movie to have a similar style, which it doesn't. The Meiji Restoration (also called the Meiji Revolution) was, in effect, a civil war in Japan between factions seeking to restore the Emperor Meiji to power as more than just a figurehead, and those wishing to maintain the Shogun-ruled status quo. The Imperial loyalists won, leading to a significant opening and modernization of the country in the subsequent years, when this movie takes place. ADVs DVD, as with their other Rurouni Kenshin DVDs, uses the somewhat cheesier "Samurai X" as the title. It includes stereo audio in both Japanese and English, a soft subtitle track, and no listed extras. About a 13-up on account of a moderate amount of violence. Violence: 3 - A lot of realistic deaths, but no excessive gore. Rurouni Kenshin: The Motion Picture is Copyright © N. Watsuki/Shueisha, Fuji-TV, SPE Visual Works. Any images are the property of their respective rightsholders, and included for review purposes only under the fair-use clause of US copyright law.